The statue is a replica of the original first 2524 BE edition of the Luang Phu To bucha statue, which was made during Luang Phu To’s lifetime. Hence, in order to preserve the significance of this bucha statue, it is cast in exactly the same style and quality, which will increase in beauty over time when its surface color and texture ages due to atmospheric changes. 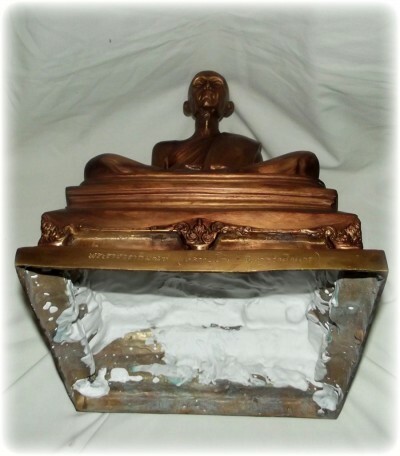 The base of the bucha statue is filled with sacred puttakun powders, and has a rian ‘Roop Khai’ monk coin with the image of Luang Phu To from this edition inserted. There were 125 Monks present to chant the bucha ‘Abhiseka’, and consecrate this 125th anniversary edition range of statues and amulets. 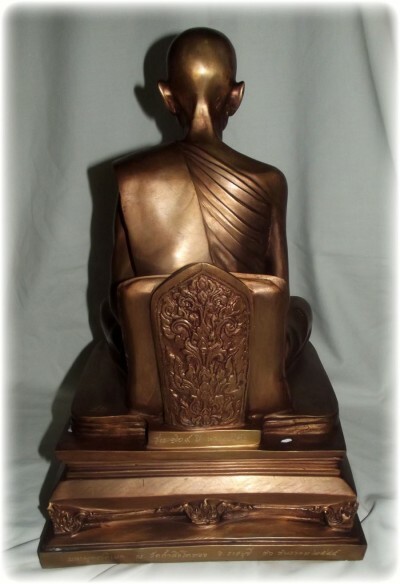 The reason for this auspicious edition was to commemorate the 125th anniversary of Pra Racha Sangworapimon ‘Luang Phu To Intasuwanno Thaera’ (27 March 2430 BE – 5 March 2524 BE) of Wat Pradoo Chimplee. The edition was sponsored by Luang Phu To’s look sit (devotees) of the district of Ban Jom Beung, in collaboration with the temple of Wat Tham Singto Tong (‘Temple of the Golden Lion’). Luang Phu To was a great monk whose practice was said to be very full of grace and auspicious merit, generosity and purity, diligence and effort. 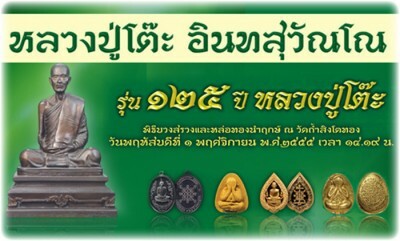 Thai Buddhists have great faith in Luang Phu To, and many different models of his amulets are found amongst those in the list of miracle amulets of great fame. This also explains why his amulets are amongst the most sought after of the ‘Chan Yord Niyom’ category (top class high end collector class amulets, only available to the most wealthy collector). 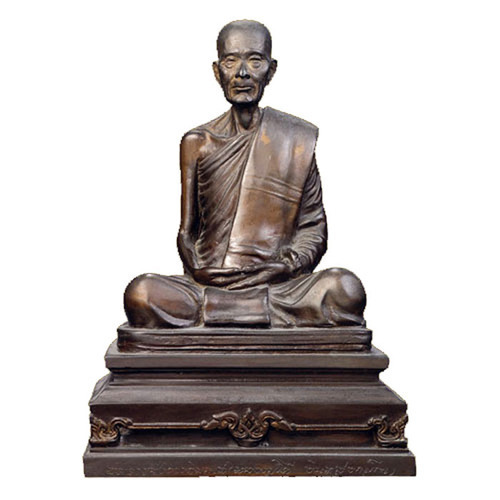 Luang Phu To was the abbot of Wat Pradoo Chimplee from 2546 BE to 2524 BE, for over 68 years, until his passing. The temple of Wat Pradoo is since then till now attended to and presided over by his successor, Pra Kroo Wirote Gittikun.